Basketball player Akil Mitchell is doing pretty well after his eye popped out in the middle of a game, New Zealand media report. 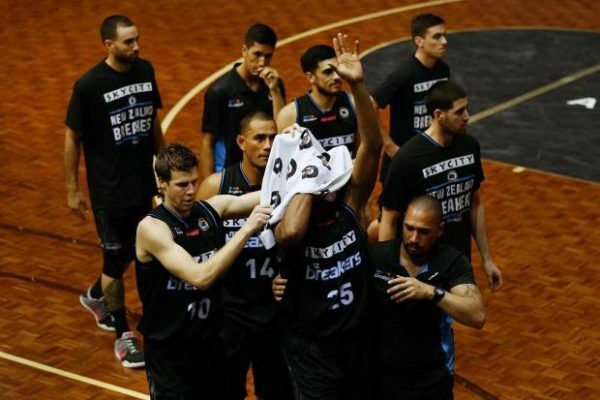 Akil Mitchell, who plays for the New Zealand Breakers, was in Auckland for an Australian NBL game on January 26 when the incident happened. The finger of an opposing player accidentally dislodged Akil Mitchell’s eyeball. The 24-yar-old player from North Carolina fell to the ground holding his hands to his left eye and was rushed to hospital. “With the palm of my hand I felt my eyeball on the side of my face,” the player told New Zealand’s Radio Sport. Akil Mitchell said he remembered hearing the crowd and fellow players panicking and thought he would lose his sight and his career was over. “Once I got in the ambulance they gave me a little pain medicine and some saline drops in my eye and I felt it slide back into place, which is also a really strange feeling. After being released from hospital on January 26, Akil Mitchell posted on Twitter that he was “seeing fine” and used the eyeballs emoji. Akil Mitchell said he was expected to fully recover and could be playing again soon. Mexico: "Americans Will Pay Mexican Imports Tax"